Even though our family eats a gluten-free, paleo-style diet these days, I still love to make treats, especially at the holidays. I knew I had to figure out how to make my favorite pecan pie without corn syrup. 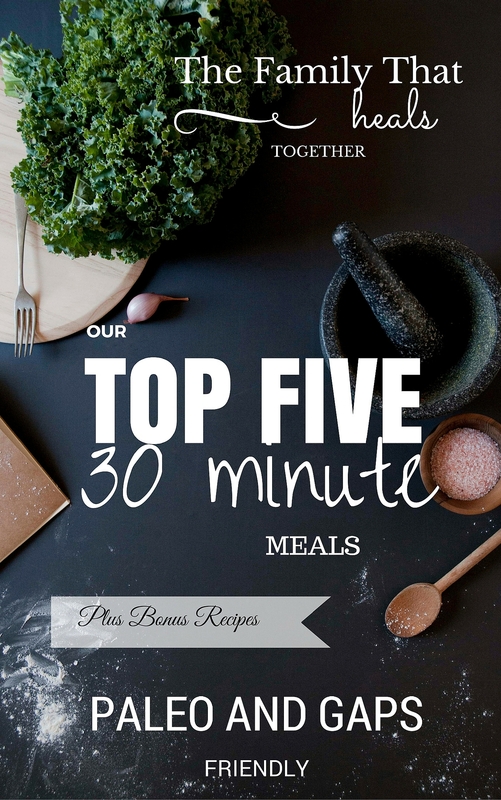 Below, you’ll find a recipe appropriate for both paleo and the GAPS diet. We may be on the GAPS diet, but that doesn’t mean we don’t still want to enjoy our favorite holiday treats, so I created a pecan pie without corn syrup. This is definitely a full-GAPS food, and we’re primarily still eating soups, stews and casseroles, but in our house, we eat pecan pie for Thanksgiving and Christmas. 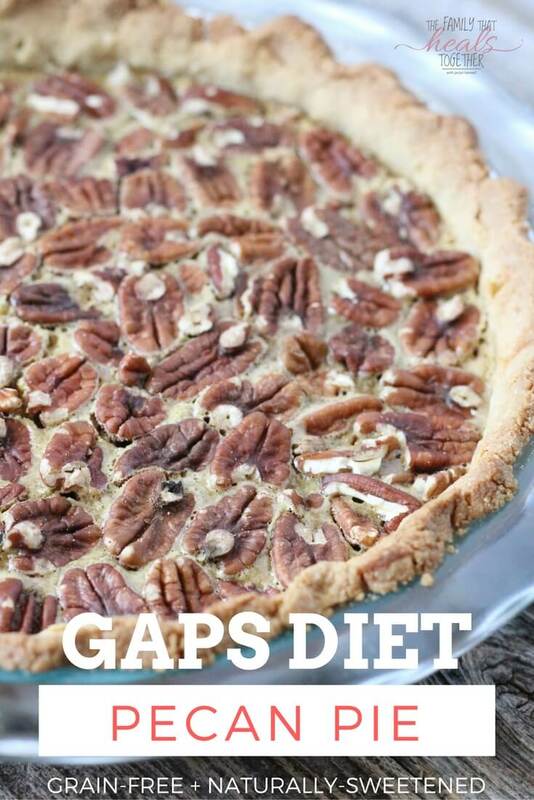 Update: We enjoyed our GAPS diet holiday so much last year, and I loved creating so many recipes that were both delicious and filled with healthy, gut-healing, grain-free ingredients, that I created a whole cookbook. You’ll find the updated version of this recipe + over 50 more healthy holiday recipes in Nourishing Holiday. Get it here. 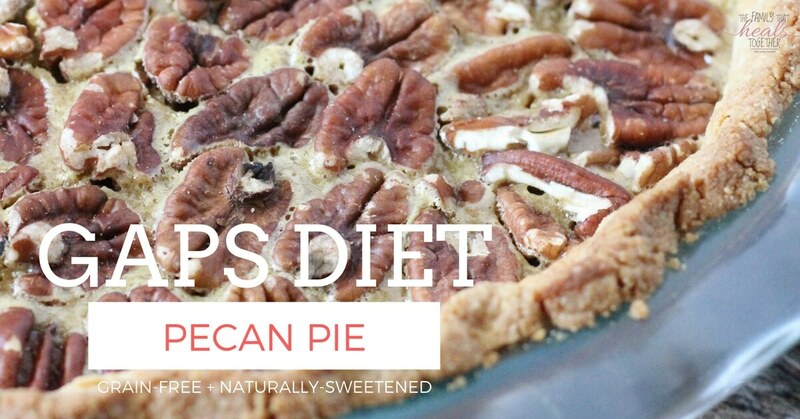 If you’re excited about a pecan pie without corn syrup (that you can eat on the GAPS diet! ), you’re going to love the grain-free “honey” wheat dinner rolls, pumpkin pie, turkey gravy, and my mama’s sweet “corn” bread stuffing! Go get your hands on Nourishing Holiday, my new digital cookbook, in time for the holidays here. For optimal digestibility, the nuts in this recipe should be soaked overnight, then dehydrated at a low temp to make “crispy” nuts. To soak, place nuts (separate the cashews and pecans) in a large bowl and cover with water. Add a teaspoon of apple cider vinegar or salt, give it a stir, cover with a towel, and leave out on the counter for 8-24 hours (times vary by nut). To dehydrate, drain and rinse nuts and spread on a parchment-lined cookie sheet and put in oven on lowest setting for 12-24 hours. If you have a dehydrator, spread nuts on the trays and dehydrate on low for 12-24 hours, until nuts are crispy and moisture is gone. This is an excellent dehydrator. 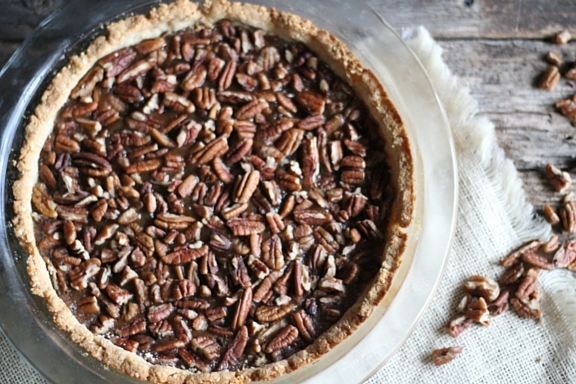 Find the recipe for Pecan Pie without Corn Syrup below. For the crust: Blend the cashews in a high-powered blender until they begin to turn to powder. Add 2 tbsp butter, egg, and dash of salt and continue blending until a dough forms. Scrape dough into a mixing bowl and add a tbsp of coconut flour. Let sit for five minutes while you begin to make the filling. For the filling: Remove pits from dates and put them in a high-powered blender or food processor with the water. Blend until a smooth paste forms. Scrape date paste into a mixing bowl and add the remaining filling ingredients. Combine well. Grease a 9" pie plate with butter and press the crust dough into the pie plate, making sure the thickness is even all around and pressing the dough up the sides. Pour the filling into the crust and smooth with a rubber spatula. Spread the pecan halves over the filling evenly. Bake for 25 minutes, then removed and let cool before cutting and serving.